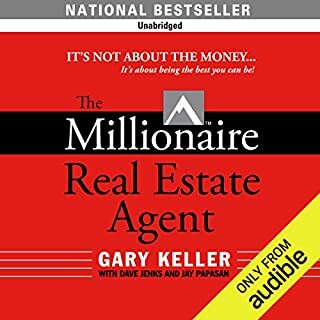 If you are new to being a real estate agent or are thinking about becoming a real estate agent, this audiobook was written to serve as your guide. A guide that will help you maneuver through the real estate agent landscape. 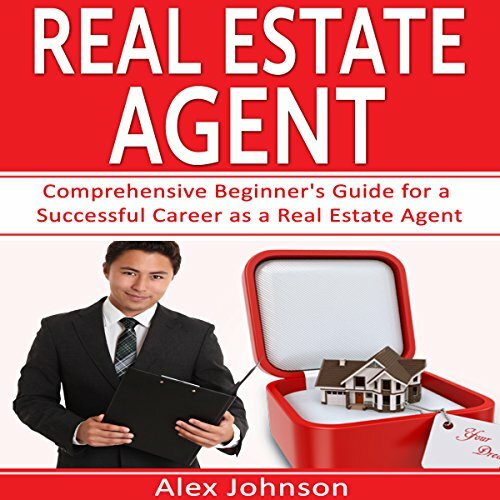 You will discover exactly what it takes to become a real estate agent. 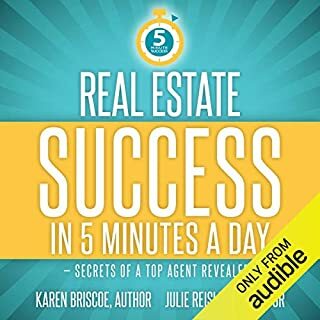 This audiobook will help you see around every corner, so you know exactly what to expect when it comes to being a real estate and to getting your real estate license. 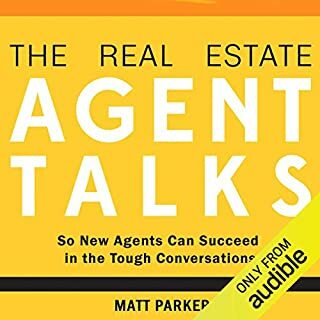 A brand new book specifically for new real estate agents; this is the fast track to listening and talking like an experienced real estate agent. Learn what to ask, what to say, and when to say it. Starting out in real estate is very challenging. The Real Estate Talks is an immediate education in the challenging conversations of a real estate transaction. This is a simple, succinct, motivational publication designed to allow your immediate success with regard to signing listings. It easily, and quickly, educates proven seller interaction protocol that leads to sign listings. 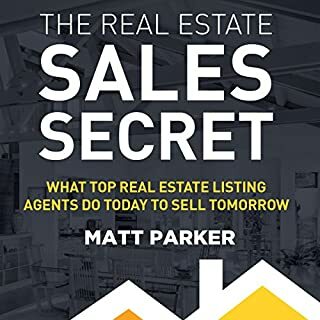 If you have a seller to sign today, or in the near future, this publication will efficiently both boost your confidence in a simple process, and illuminate the most vital seller tactics used by top listing agents. Are you a new real estate agent and wondering how to get more qualified leads and sales? Or maybe you're a seasoned real estate agent and your client base just isn't as big as it should be? Maybe you're an investor struggling to find deals or sell your investment properties? Whichever situation you may be in, this is the book for you. I have listed out proven and detailed steps on how to find qualified leads, market to those leads, and close deals the quickest and most efficient way possible. Do you have what it takes to be your own boss, find your own clients, and have a paycheck that is only limited by your drive, determination, and results? If this sounds like you, then Real Estate Agent Revolution is the book you have been waiting for. Inside you will find everything you need to get your real estate agent license, track down your first client, build a list of leads, and maintain a successful business, all on your own terms. Introducing California Real Estate License Exam AudioLearn - A Complete Audio Review for the Real Estate License Examination in California! Developed by experienced Real Estate professors and professionally narrated for easy listening, this course is a valuable tool when preparing for your Real Estate License Examination in California. The audio is focused and high-yield, covering the most important topics you need to know to pass your examination. The material is accurate, up to date and broken down into 15 bite-sized chapters. Are you looking to generate more real estate leads? Look no further. In the book Real Estate Lead Generation, Brent Driscoll holds nothing back and gives you all of his lead generation tactics. This book is short and to the point. There is no fluff, filler, or vague theories. This one book could add thousands of dollars to your bottom line every year. He gives actual resources and steps for generation and retaining leads. What do real estate agents do? Help someone sell their house. Help someone buy a house. Be on hand for commercial property sales and transactions. Sure, all of three answers are correct. Real estate agents can help with the selling or buying of residential or commercial property. But, what else do real estate agents do? How do they make these transactions? How do they find clients? There is a lot more to being a real estate agent, than the simple answers above. Not everyone in the world could be a real estate agent successfully, if they wanted to. It takes a specific skill set to be a real estate agent. Furthermore, it takes dedication to the career. It is not a passive income career, where you can make thousands each month to bolster your current income. 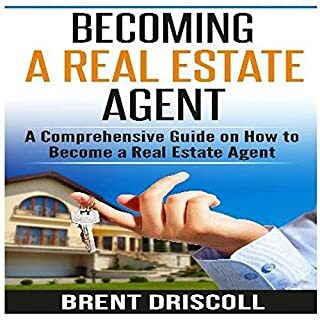 As a comprehensive guide, this book promises to give you the answers you seek about what it means to be a real estate agent. Becoming a real estate agent is a commitment of your time and money. It is not something to do lightly because it will further your investment endeavor. It takes a special type of skill to truly succeed as an agent. These skills can be learned if you are serious enough, but also understand that it takes hard work to make a sale in any economic situation. If you are a salesperson or want to learn how to become one - this book will definitely help. 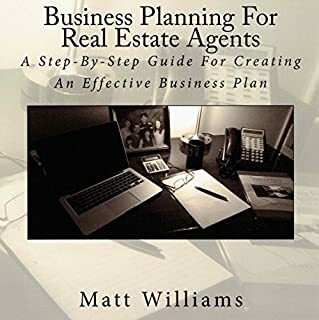 This book was a very general overview of what it entails to become a Real Estate Agent and whether or not it's for you. Extremely basic but helpful to those who are considering such s career move.